Selo has been in the business of designing and manufacturing innovative doorset solutions for over 10 years. We found that traditionally, the methods and processes of fitting doors were problematic. 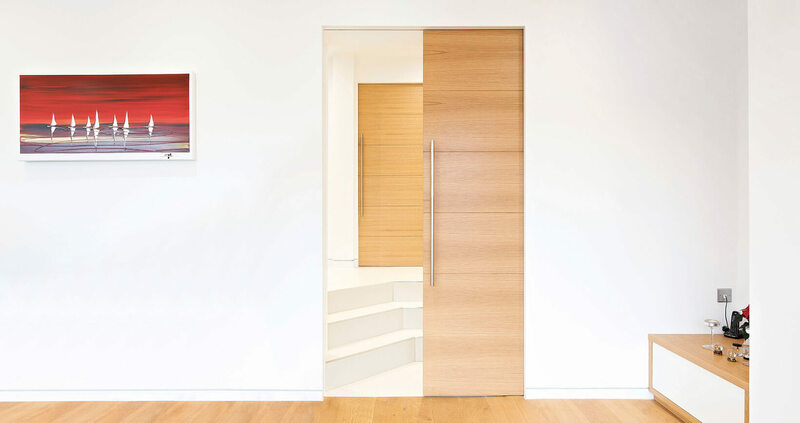 Selo doorsets were born from the belief that it should be simple – so our highly skilled team have created systems that complement architectural design, are highly functional, and are importantly, quick and easy to implement. 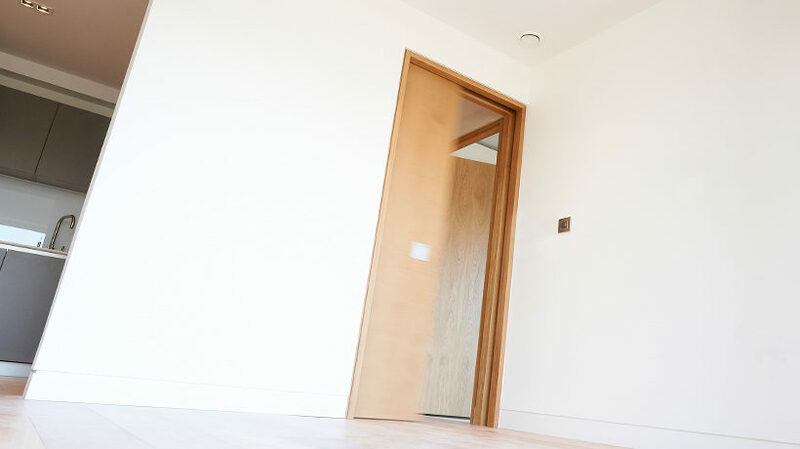 A pocket door is a sliding door that disappears, when fully open, into a compartment in the adjacent wall. They are becoming increasingly popular as due to rising property prices, saving space within buildings has never been so important. 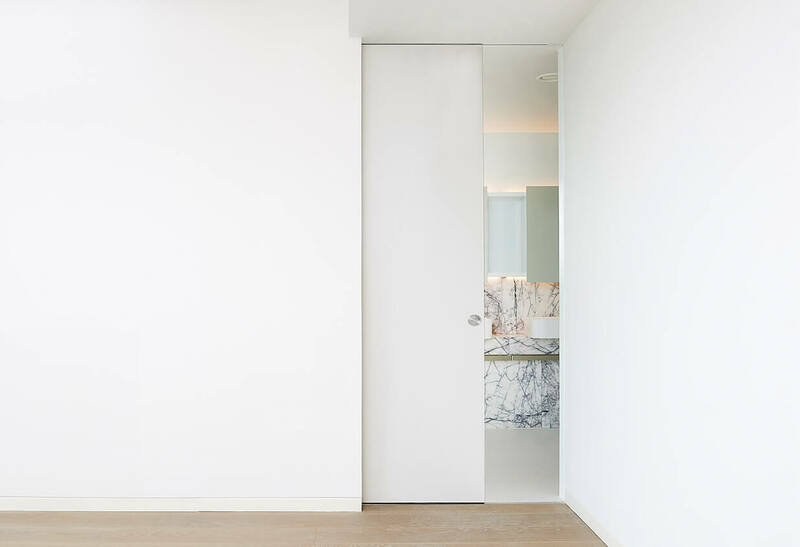 Pocket doors are perfect for areas where space is at a premium and from an interior design perspective, they create a sleek and seamless finish that could not be achieved with swing doors. Conventional swing doors require a large amount of clearance space, but the Enigma pocket sliding door system is different. It forms its own cavity, requiring no additional clearance. It works so that a structural opening twice the door width is formed, into which the Enigma pocket door system fits. The cavity is formed by plated aluminium profiles that are plasterboarded over together with the rest of the wall for an ‘invisible’ finish. Simple to install, robust and offered in a wide range of designs, the Enigma is sure to enhance your project through its polished aesthetics, incredible functionality and effective space-saving properties. From hotels to apartments to offices, the Enigma pocket door provides an elegant, contemporary and functional finish. The Enigma system can help you fit more space into your project. View our gallery of projects where we’ve used Enigma to create contemporary and stylish interiors. We love new challenges and opportunities and we're here to answer any queries about pocket doors and how they can help your upcoming project.